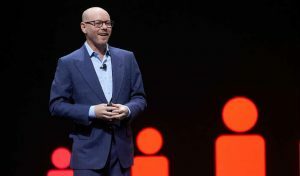 Evan Goldberg Founder and VP Product development at Oracle NetSuite opened day 2 of Suiteworld with the product keynote. He said there are five technology keys that underpin growth: Automation, Insights, Control, Agility and Collaboration. To deliver on these keys NetSuite has already invested more than $1 billion into R&D. That is not slowing as Goldberg revealed that they will recruit more people in 2018 than any previous year. The first set of products that Goldberg unveiled he themed under the title reinvention. They are all areas that NetSuite has offered before but they have now redeveloped the modules or functionality from scratch in order to ensure that the product scales or to meet changing requirements. This is something that few companies consider doing, normally they look to just extend the product functionality. It also means that NetSuite is protecting its existing market by making sure its product is close to market leading in these areas. The five reinventions he announced were SuiteCommerce, SuiteAnaltics, SuiteTax, SuiteCloud and Oracle Cloud infrastructure. Allison Auclair, VP Product Manager of SuiteCommerce introduced the changes made to SuiteCommerce. It was rebuilt based on the lessons learnt from the historic product site builder. The new solution is now generally available in the US. There was no mention when it would be available in other areas. Though Enterpriseprise Times learnt that it would likely be available in the autumn release. SuiteCommerce is also supported by SuiteSuccess, enabling it to launch in under 30 days in a company already using NetSuite. The new solution is also now open for further development by customers, the new commerce extension framework will enable developers to create new themes and add extensions. SuiteCommerce is now more reliable and faster. There is an offline mode for users on tablets that lose their internet connection This standalone mode allows users to complete transactions which are then synchronised with NetSuite when the signal is restored. The UI has also been improved with Auclair revealing that some steps are 70-80% faster than before. It also now has more features including: the ability to deliver personalised experiences for B2B or B2C, unified email messaging and a product launch feature. The R&D team has worked on this for several years. Last year NetSuite hinted that it would become available this year. It is a complete rewrite of the search and reporting tool and includes the ability to pivot data. Customers with whom we spoke were excited by this announcement, it has been eagerly anticipated. This is still an early version. While it appears comprehensive, with the ability to drill down and investigate the data, there is still work to be done in making that smoother. Additionally, much of the interface seemed slightly dated. The look and feel of the product and the charts available are also limited. Talking to Gary Wiessinger, EVP Products at Oracle NetSuite about this later in the day, he implied that it was very much a work in progress as the product is only in beta. The intent is to apply the new NetSuite UI to the product which would improve it. NetSuite is also looking to add more charts and extend the functionality of it, but the base product is tested and ready to go. 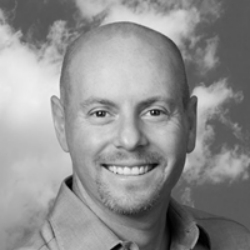 NetSuite has rewritten its tax engine from scratch. Highly flexible it allows companies to create documents such as invoices that comply with different tax regimes. The example given was the sale of goods to a German subsidiary, followed by one in San Mateo. Preconfigured the system quickly worked out the correct tax calculations to apply. SuiteTax is GA in the US with release 18.1. SuiteCloud has a new development framework. It has been rebuilt from scratch and includes a completely new and flexible UI that incorporates several features that users have demanded. For example, grid layouts have been enhanced so that columns can be resized and locked. Multi selection lists are also improved greatly, another much requested enhancement. There are new administrative controls on visibility of data and fields can be locked down for specific user roles across the whole system. This will be especially important when GDPR comes into force. Goldberg described this as NetSuite getting out of the data centre business. His intent is to take advantage of the complete stack of Oracle products. The company is to leverage the new data centre regions in Amsterdam, London and Frankfurt as well as those in Asia to eliminate data sovereignty concerns. The underlying software architecture is also being upgraded to support the latest version of Java. NetSuite will also look to move to the latest versions of the Oracle database, while not specifically calling it out one assumes that this means the autonomous database that Oracle announced. There are also significant improvements to the NetSuite core product. At its core NetSuite is transaction centric and has a strong finance package. This is further enhanced with more last mile compliance. The intercompany framework was improved and other enhancements include auto cash, period end journal automation and GL matching. Localisations for Germany, France, Japan, India, Portugal, Brazil and China have all been improved. In China, NetSuite has built a mobile expenses app on WeChat Business. This enables users to pay for a bill, scan it into expenses and leverage the WeChat e-fapiao in the same way that Concur does. NetSuite takes it a step further by posting the expenses claim straight into the approval workflow and accounting system. For product based industries there are improvements to supply chain management. Inventory tracking, warehouse automation, quality control and change management have been enhanced. There is also a new mobile application, Warehouse Management System. NetSuite also now has an integration with the Oracle Warehouse Management Cloud for those larger organisations that need the sophistication. Service business will see project accounting significantly improved. This includes the ability to share resources between different subsidiaries, with pre-defined transfer pricing. For multi-national consultancies this is a significant announcement. This is also a first phase of the development roadmap with more enhancements promised. In SuiteBilling there are new pricing models available including: Introductory pricing, trial price, ramp pricing and overage pricing. SuitePeople has also been extended wider into the NetSuite product. It already integrates to SRP and it will now be integrated into manufacturing, wholesale distribution and retail. There are more than 600 customers using the system including some beta customers in the UK where it should go GA before the end of the year. In the last year SuitePeople has added a new analytics dashboard using predefined SuiteAnalytics templates. That template is one of several that NetSuite will look to introduce across its portfolio, embedded analytics across both horizontal and vertical elements. It is now fully integrated into Oracle Taleo business edition for recruitment purposes. There is a new onboarding module, though that is not GA yet. It is in the development and integration of machine learning and AI into the platform that NetSuite has really differentiated from the competition. There are three areas of focus. Intelligent insights: This identifies anomalies or issues and provides recommendations to the user. The issue, not solely for NetSuite, is that these all need machine learning algorithms and there just are not enough people to do everything. Two practical use cases were given. how many more were available is not clear as they take time to develop. Goldberg inferred later that this would be based on customer demand. The first was in an ecommerce store, where a customer search engine could be augmented with AI. Not only would this return results based on synonyms, but it might also prioritise the results based on machine learning about the client or parameters tweaked by the system user. For example they may decide that end of line discounted items appear early than the higher cost items, or vice versa. The second was around the Supply Chain control tower. Users there can see all the shipments. They are prompted if one journey is more likely to fail and move it to another boat or plane that will arrive on time. It highlights the risk of failure based on the data for the original trip and suggests a new route with a high probability of success, again based on the underlying data. Intelligent Automation: The system will start to recognise tasks that a user does and recommend automation. The example give was an approval process. Guidelines can be set and items will only be highlighted where exceptions are noted. It should reduce time spent by management on mundane tasks, without any compromise. It may also highlight when items and trends are outside the norm. It is therefore better than the more traditional system, where often managers approve without considering the implications. Intelligent interaction: This is something unique to NetSuite and is in early beta. In the keynote a side bar form, mirroring elements of the main form, appeared and walked the user through the most commonly used fields, auto filling where possible based on machine learning algorithms. Wiessenger agreed that this design was based on the wider form factor of laptops and conceded that it caused much discussion internally with people considering that it might not be suitable for a different form factor such as a tablet. Wiessinger said that he would let the customers decide ultimately. The system not only speeds users through the form but also brings up insights into the data entered where appropriate. NetSuite is also starting to leverage the Oracle solutions to supplement its own growing portfolio. It is moving responsibility for the data centres to Oracle and starting to take advantage of the latest IaaS and PaaS technology. Where NetSuite does not have a sophisticated product that its customers required it has started to integrate to it. Three three visible examples of that are Oracle Taleo, Oracle Financial Planning cloud and Oracle Warehouse Management cloud. Interestingly this is not stopping NetSuite from building out its own solutions in these area either though. Taleo is an important one. It is almost certainly going to announce a hospitality vertical next year and the recruitment functionality in Taleo seamlessly integrated should assist it in that market. NetSuite has been busy. The fruits of the Oracle investment aren’t quite here yet but much of what was displayed on stage is already available. What is clear is that NetSuite has a clear focus and Wiessinger and Goldberg are spending the money carefully. They are building out the product where it is getting the most traction and readying it for stellar growth. The Intelligent Suite is especially promising in what it will deliver. It has some neat tools that are unlike any other ERP solution. While it doesn’t have the insights everywhere people like Goldberg and Wiessinger will make sure that the where they do appear they are of practical use. Very good write up. I have to say that as a NetSuite partner this is one of the most exciting SuiteWorld’s I have seen in a number of years, especially when you take into account the product roadmap. Our customers are particularly excited about the new reporting engine and the Intelligent Suite innovations. SuiteTax may sound boring to many people but it extends the lead that NetSuite already has as the number 1 ERP system for global businesses with complex tax requirements. It is becoming a true leader without comparison amongst other global financial accounting solutions.